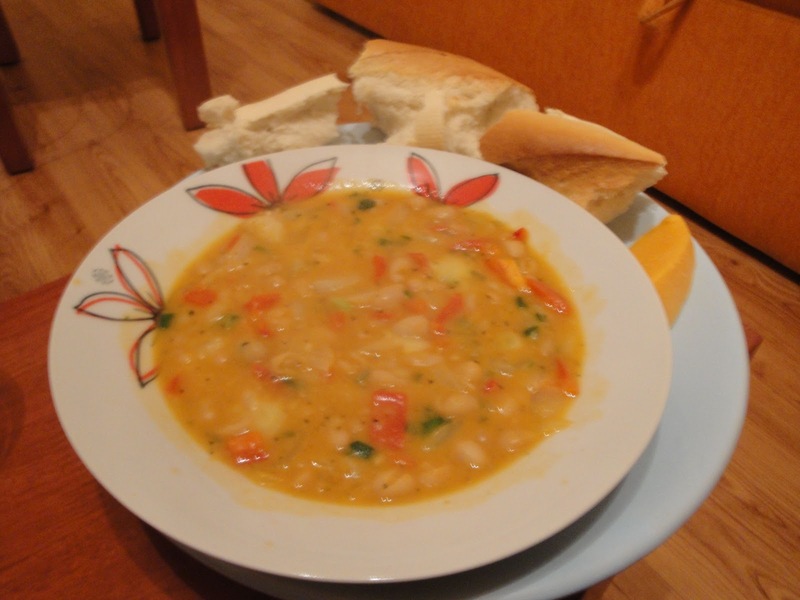 As I mentioned earlier, Rachel and I went to the Rila monastery earlier this week, and had a delicious soup for lunch. Looks good, huh? In a large pot, cook the white beans with a half a cup of water. You can use vegetable broth if you have this on hand. 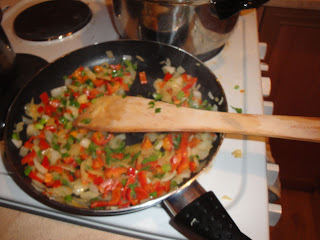 In a skillet, sautee the peppers, onions, and scallions in olive oil. When they are soft, add the herbs (hopefully fresh) as well as salt and pepper. Combine the vegetables with the beans. Before serving, mix in a teaspoonful of butter for each bowl of soup. Serve with bread. I also added cheese, because who doesn't love cheese? This may be my new favorite vegetarian dish. My dish was close to the original, but I have some suggestions. Dice the onions and peppers thoroughly. I'm talking real small. I don't have the best knife skills, but I think it is important. Don't add to much salt, because it isn't really a salty soup. It should be hearty and savory. Enjoy! I am going to make this for sure!